Last week our client of three years Tope Awotona, a founder of Calendly visited us to discuss future product vision and collaborate with Railsware team in our Kraków office. We took this opportunity and decided to share Calendly story with the local startup community. On 4th of May, a day when the force is with you, together with Hive53 and #omgkrk we organised an evening event in Metaforma Cafe. 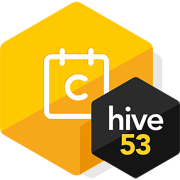 For those of you who aren’t familiar with Hive53 and #omgkrk yet, both organisations gather and connect entrepreneurs, developers, designers and all the other growth-focused individuals, creating meetups and local events. Our “Hive53 Calendly Swarm” evening started off with a short introduction from the organisers and swiftly moved to Tope’s story about the beginnings of his entrepreneurial adventure. His company Calendly is an online calendar tool designated for appointment making. However before Calendly was born, there were other business ideas Tope experimented with and decided to share. It all started seven years ago when Tope was working as a sales representative in a software corporation based in Atlanta, which acquired sixteen companies at that time. It was the right moment to leave and start his own business. When you want to become an entrepreneur, one of the main doubts stopping you from making a decision is leaving your comfort zone. It becomes easier as soon as you realise that people who start successful businesses are just regular people like anyone else. You shouldn’t wait for the right time or let any other distractions stop you from achieving your goals. After leaving the corporate world behind, Tope’s first project was an e-commerce website selling projectors, even though he’s never owned a projector before. The initial sales were coming in but he he didn’t have enough knowledge and passion for this product and moved away from it. Second business attempt was a website selling ceramic grills. They weren’t available online and people would travel a long way to buy them. But again, Tope wasn’t a product expert in this field. He shut the business down and didn’t want to start anything new until he found something meaningful. This time the only way he wanted to start the business was by creating something you’re passionate about which solves the real problem. 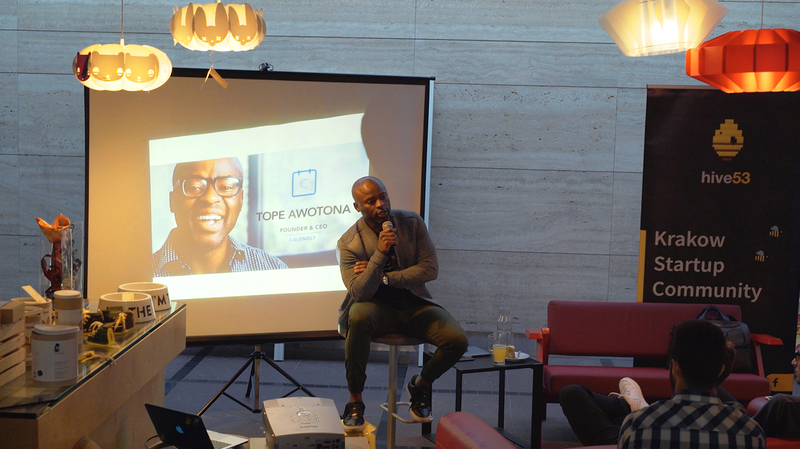 In search of new opportunities Tope had a lot of meetings and looking back at his career, he realised it was never easy to schedule a one to one business meetup. He became obsessed with finding a perfect tool providing simple scheduling for everyone. Three months worth of research and about thirty scheduling tools later, he discovered that there was no perfect solution to this problem. Existing tools were mostly dedicated to specific areas like beauty professionals and they were clunky. This was Tope’s light bulb moment and he needed to find a tech partner to make his idea reality. He then started researching software development companies and came across Railsware. “With Railsware, I learnt something new everyday. They’re passionate about what they do and they challenge what you are thinking.” Since the beginning of the collaboration Tope was very involved into product discussions. Today Calendly connects 840,000 users each month. People leave more complex scheduling tools and go for Calendly with less features because of its simplicity. Last but not least, some funny mistakes to learn from Calendly founder. The biggest screw up was sending a wrong newsletter to about 100,000 people. The content was so confusing to this group of people that about 50,000 of them replied with some questions. It took some time for the team to get back to all of the clients. The evening finished with networking. Big thanks to Tope for visiting us again and sharing his story with Kraków startup community. We’d also like to say thank you to the organisers Hive53 and #omgkrk for making this event happen. More information on Calendly case study can be found here. If there’s anything you’d like share about this blogpost, please let us know. We’d love to hear your feedback.